If you yourself are a Trim Healthy Mama, you probably know that the Fuel Cycle is a bit more restrictive than just freestyling. 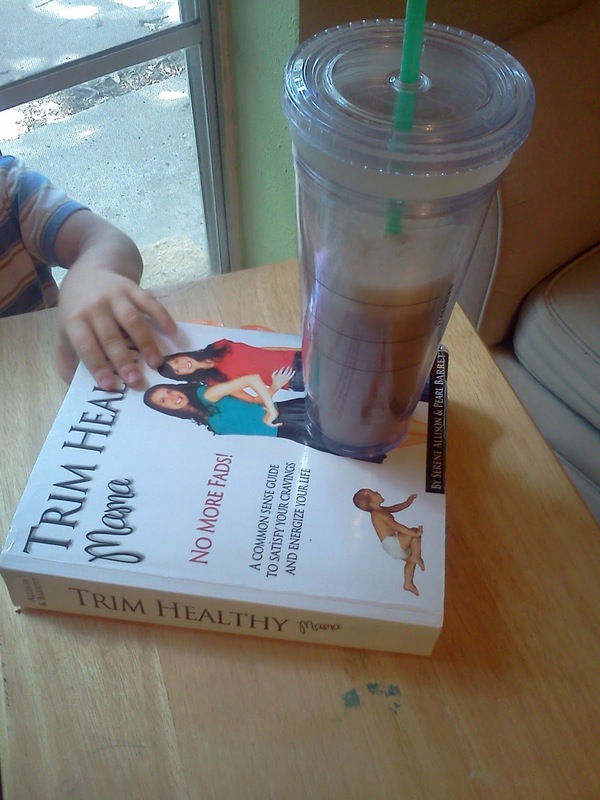 If you are not a Trim Healthy Mama, then, well, you should be! Ha, really, if you are not, the Fuel Cycle is just a weight-busting week to try to kick a few stubborn pounds. Normally, yummy things like cheese and yogurt and nuts are encouraged on THM, but on the Fuel Cycle, they are not really allowed, at least not in the quantities that I normally use them (and now you know why I need the Fuel Cycle!). 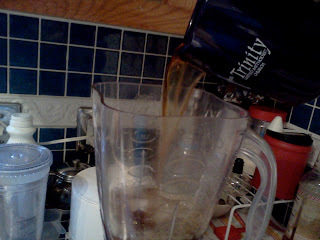 Anyway, this past week I was looking for a good way to drink my coffee. 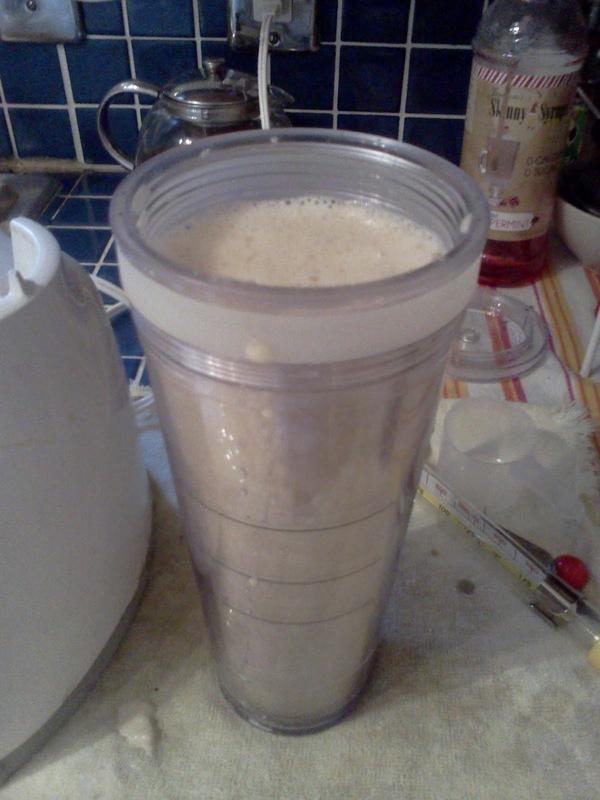 Normally, I load it up with heavy cream or half and half and just enjoy it. But this makes it an S (= Satisfying, low-carb but high fat), and really, I try on the Fuel Cycle not to have as much cream as normal. 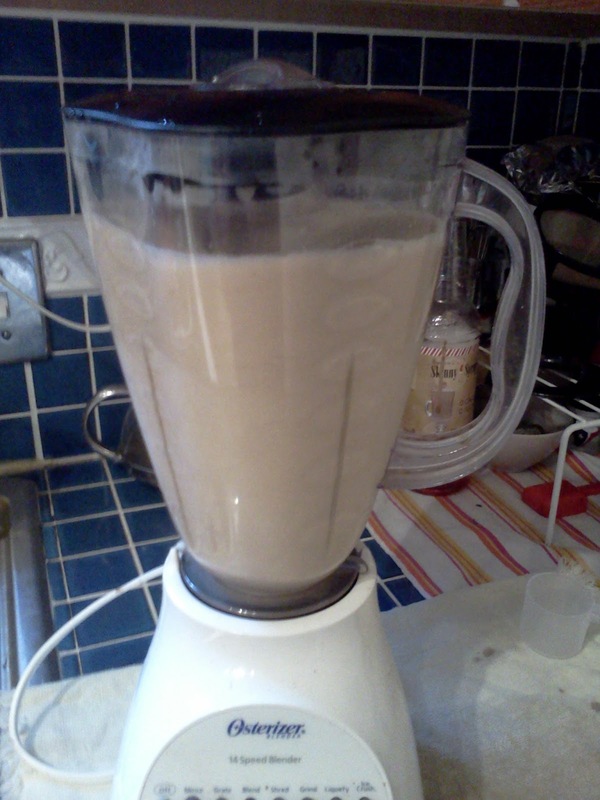 So, for my S days, I made Bulletproof coffee – oh Yum! 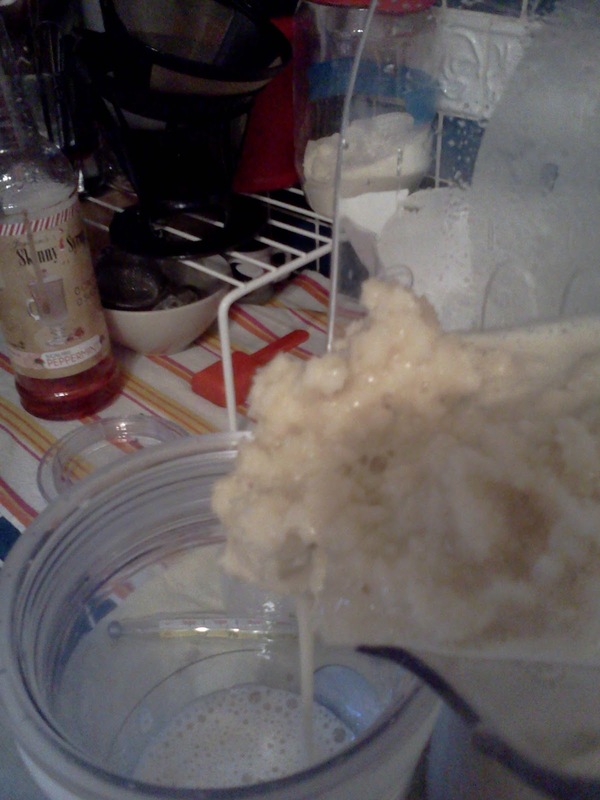 I used Extra Virgin Coconut Oil instead of MCT Oil , and it was divine – delicious, creamy, and very satisfying. But coffee on S days wasn’t really the problem – I have S breakfasts almost every day simply so that I can have creamy coffee. This issue is that the Fuel Cycle has 2 FP (= Fuel Pull, low-carb and low-fat) days plus 2 E (= Energizing, low-fat but higher carb) days, so that’s 4 non-S breakfasts to get through. This gal is NOT giving up coffee on those days, so I needed a solution. One possible solution is fat free half and half. I’m not a purist, and I don’t mind it, but I just didn’t have any on hand, and I was being a cheapskate and spending my money on higher quality stuff instead. So what’s a gal to do for FP and E coffee? Enter the Java Chiller! This worked perfectly for me, not only because it provided me with a great coffee fix each morning, but also because it was a cool and refreshing drink to sip on at any time of day as our temperatures inched closer and closer to 100 degrees. 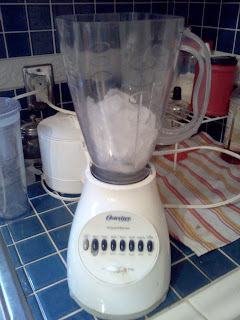 First fill your blender about 1/3 – 1/2 full of ice. No need for a high-end blender here. My old Osterizer works great! Have I told you yet about my Keurig Vue® ? I LOVE it!! This makes 2 very large servings. I like mine to still be a little slushy when I pour it into my cup, like this. I’m linking up to Trim Healthy Tuesday over at Gwen’s Nest and Stacy Makes Cents – head on over to check out all the other THM-friendly treats they have to offer! This entry was posted in Trim Healthy Tuesday, Uncategorized and tagged food, recipes, THM by expatprep. Bookmark the permalink. 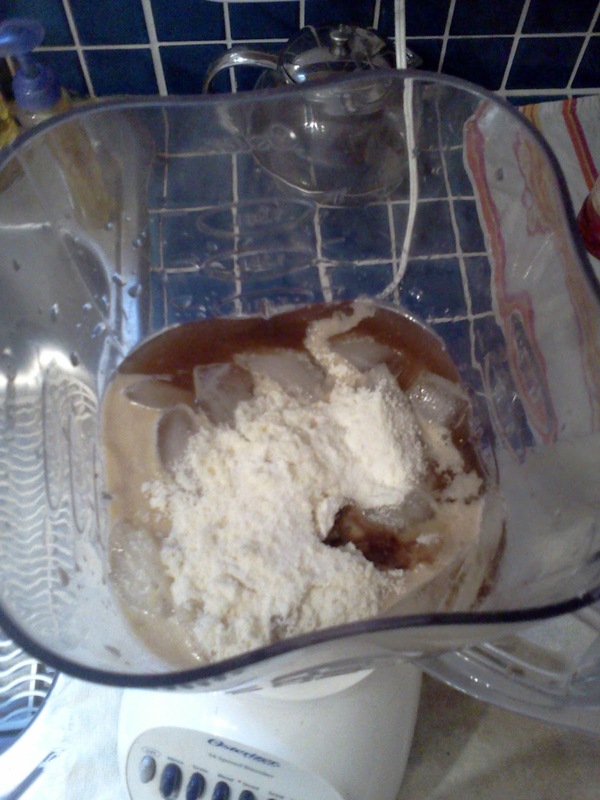 I’ve been using coffee ice cubes in mine! Coffee and chocolate together make me want to sing. Thanks for linking at Trim Healthy Tuesday! I haven’t even been putting chocolate in mine, but that would be yummy too!